Have you ever thought of what second and third marriages and also divorce can do to an estate plan? These are important life developments that need to be included in estate plans. To help us better understand these issues, Kristine J. Anderson who is a partner with the law firm of Bales Beall LLP, based in Toronto, Ontario speaks to some of the issues surrounding this topic. What obligations exist upon your death to provide for spouses and children? And what is the definition of spouse and the definition of child? What happens if you do not properly provide for a spouse or child when you die? What factors are considered in assessing whether a spouse or child is properly provided for? What tools do the courts have to remedy the situation? How could your insurance and RRSP beneficiary designations be at risk? If you or someone you know is thinking of re-marrying or getting a divorce, we encourage you to listen to this podcast. These are important legal issues that affect estate plans. Kristine joined Bales Beall LLP as a partner in 2016. Her practice focuses on estate and civil litigation. Kristine helps clients find the best path by delivering effective and creative advice on estate matters, power of attorney disputes and guardianship applications. 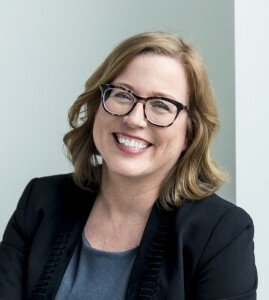 She also represents clients in contractual disputes, commercial tenancies, shareholder and partnership disputes, employment matters, and she defends lawyers in professional liability claims. Kristine’s second love, after law, is painting. She exhibits her landscapes and cityscapes several times a year. When life, family or profession presents challenges, that’s precisely when Bales Beall comes into its own. We provide the options and the path that lead to resolution. Knowing what’s at stake, we strive to make the process as easy as possible. It helps that our reputation precedes us – as exceptional providers of strategic legal counsel. We are collaborative, whenever possible, and tough when necessary. We measure our value by the calibre of advice we provide, relationships we rebuild, crises we avert and respect we earn. It’s a quality we chalk up to our human experience: the intangibles that together define your best possible choice in a legal partner. Your family matters. You matter. Our priority is you – and our role is to provide sound strategic counsel in the most trying times. Family legal cases are often clouded by strong emotions, frequently to the detriment of the whole family. It’s not about who wins or loses – that’s short-sighted. It’s about providing a fair resolution by safely navigating uncharted waters with your future well-being in mind. It’s important to have a plan. Whether you’re drafting a will or establishing a family trust, our purpose is to ensure that everything you’ve been a part of, and all that you hold dear, is properly setup the way you want it to be. We’re good at this because we’re sensitive and diligent at managing all matters of estate planning and administration as well as probate applications. We have the skills to deal with complex situations – our experience and track record prove it. In 2017 Bales Beall was honoured to be named one of Canada’s Top 5 Wills, Trusts & Estates Boutiques by Canadian Lawyer Magazine. No one wants to need us. However, there are circumstances when disputes require litigation, and when they do, having knowledgeable and strategic representation can make all the difference. We are detailed and effective in our approach. Whether it’s family law, estates or business disputes, we won’t take these matters lightly. Our best interest is acting in yours. End-of-employment disputes are sensitive and trying. We’re dealing with how people earn a living. You deserve sound representation for your security and well-being, separate from the emotions that these matters bring out. Our extensive experience in successfully resolving disputes between employers and employees will ensure your best interests are represented. Avoiding trial can save you much more than just time and money, which is why negotiated settlements are desirable to resolve issues fairly. Karon Bales is a distinguished and trusted mediator – employing best practices to settle both family law and estate disputes. You deserve a fair settlement, so that you can move on with your life.